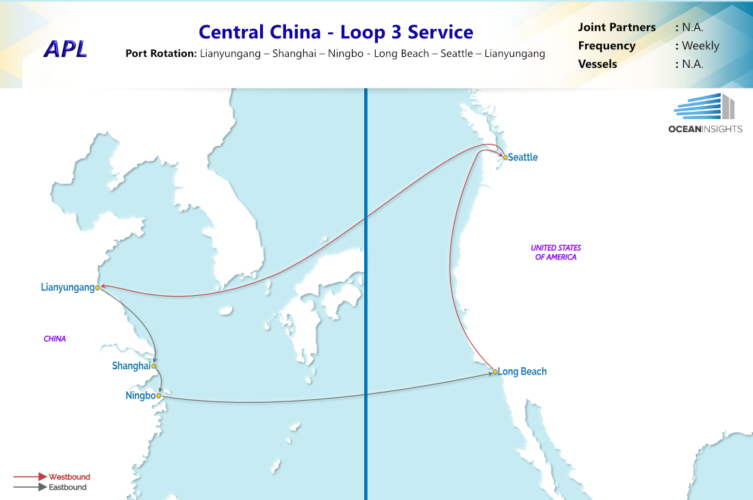 APL announced the introduction of the new Central China – Loop 3 (CC3) service; and enhancement of the South China – Loop 3 (SC3) service, both serving the Asia-North America trade lane. Adding to its portfolio of Trans-Pacific services, the new CC3 service will be providing direct connectivity from the Chinese ports of Lianyungang, Ningbo and Shanghai to the US West Coast ports of Long Beach and Seattle. Unique to the offering, CC3 will be the only service in the market that provides a direct Lianyungang-Long Beach and Seattle connection. Primed to diversify and expand APL’s coverage across China, the weekly service promises a competitive transit time of 13 days from Ningbo to Long Beach. The CC3 service will commence sailing from Lianyungang on 30 April with a port rotation of Lianyungang – Shanghai – Ningbo – Long Beach – Seattle – Lianyungang. 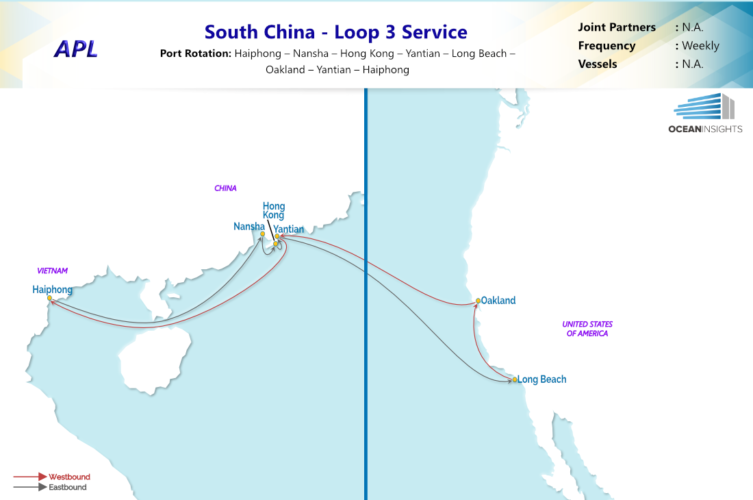 APL’s weekly South China – Loop 3 (SC3) service will be calling the additional ports of Haiphong and Oakland as part of its service rotation. When the refined SC3 service commences sailing on 30 April, it will be the industry’s first and only service that directly connects Haiphong in Northern Vietnam to the US West Coast ports of Long Beach and Oakland. While the enhanced SC3 service will offer an extended market coverage across Vietnam, South China and US West Coast, the Trans-Pacific offering will remain synonymous with its best-in-class 13-day transit from Yantian to Long Beach. The refined SC3 will commence sailing from Haiphong with a port rotation of Haiphong – Nansha – Hong Kong – Yantian – Long Beach – Oakland – Yantian – Haiphong. Click for more information on the enhanced SC3 service and new CC3 service.